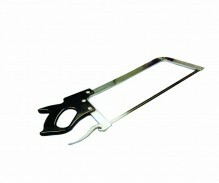 Use a handsaw in your butcher shop or grocery store to achieve excellent meat cutting results. 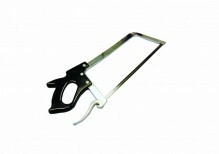 Available in 19”, 22” and 25”, a handheld meat saw is an excellent tool to help cut through tough meats and bone. Made with durable stainless steel, easily and efficiently cut your own steaks, ribs, and much more! With easily replaceable blades, you will always have the necessary tool for your butcher shop or commercial kitchen for small and quick tasks. Interested in something with more power? 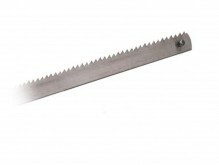 Zanduco carries a large selection of commercial band saws. 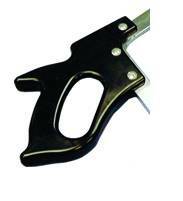 At hard to beat prices, a handsaw is used daily for a variety of tasks. Individual handle kits available. These meat saw’s handles feature a trigger-lock design, which provides the user with excellent blade pressure when using.